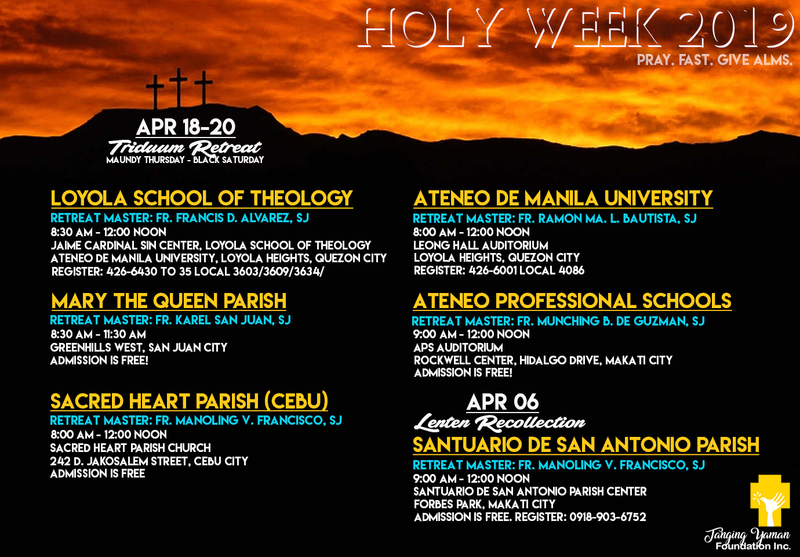 This Lenten Season, let's pause and pray. Let's give ourselves the chance to reconnect and further deepen our relationship with God. Let this also be a time for renewal and reconciliation. 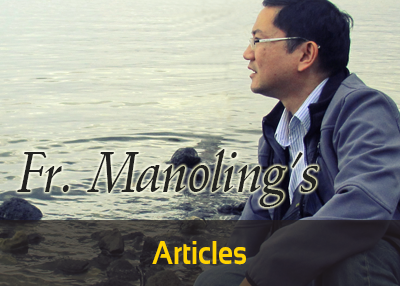 We, in Tanging Yaman Foundation, Inc, once again gathered some options for retreats and recollections for you. 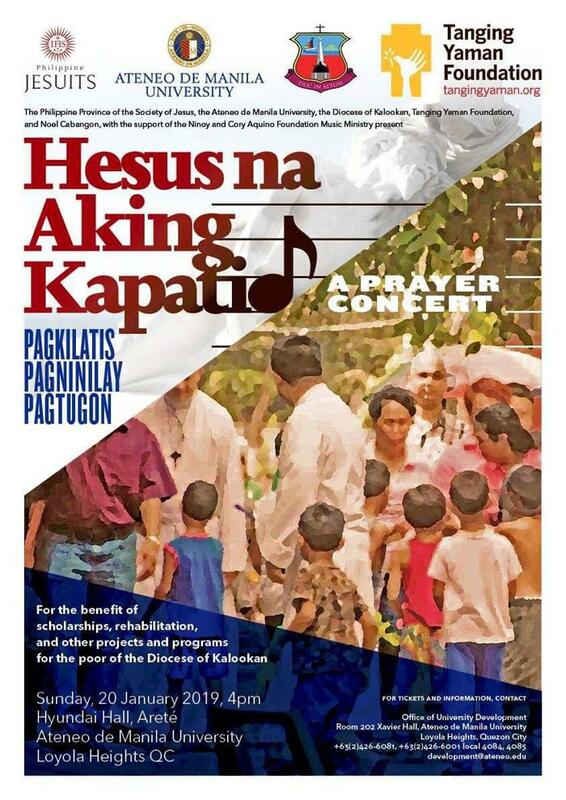 To prepare us for the coming Easter, Bukas Palad Music Ministry, Fr. Manoling Francisco, SJ., and the Jesuit Communications, will stage a prayer concert, Behold the Risen Lord - A Spiritual Preparation for Easter, on March 24, 2019, 3:30 pm at the Church of the Gesu, Ateneo de Manila University. Admission is free. 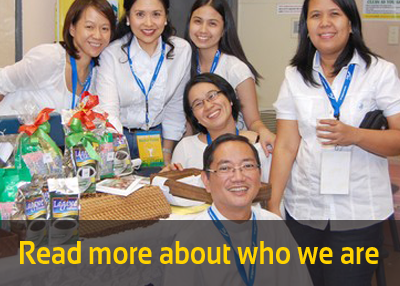 The Philippine Province of the Society of Jesus and Ateneo de Manila University, together with the Diocese of Kalookan and Tanging Yaman Foundation, Inc.
for the programs for the poor of the Diocese of Kalookan. 4:00 PM, Sunday, January 20, 2019. By the turn of the year, Tropical Depression Usman devastated parts of the Bicol region, leaving more than 4,000 families affected due to flooding and landslides in the Rinconada area. 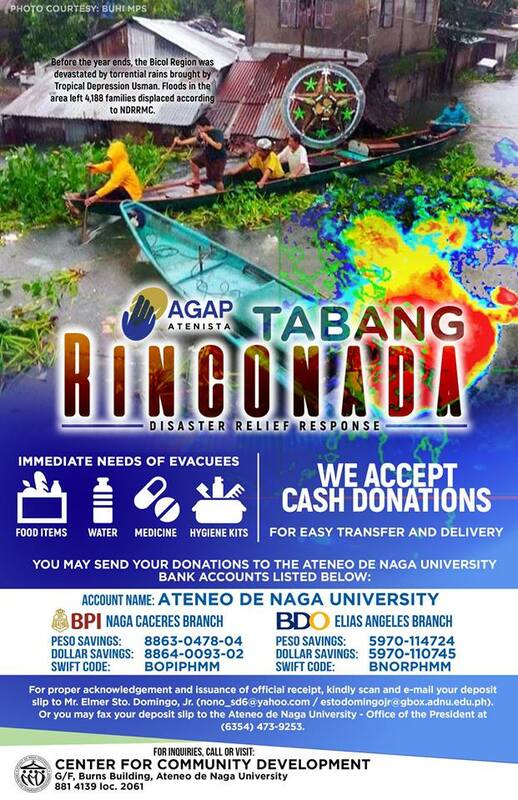 We are sharing with you the call for donations of Ateneo de Naga University - Center for Community Development (AdNU-CCD), to help these families, with the full details of their post below. We encourage you to share the call via Facebook through this link.